Highest rural population growth rates in the Nile Basin are observed for the period 2005-2015 at the range of 1.5% to 3.0%. In the future (2020-2030 & 2035-2050) the rural population growth rate is projected to decline and the rate is expected to be negative for Egypt by 2035-2050. 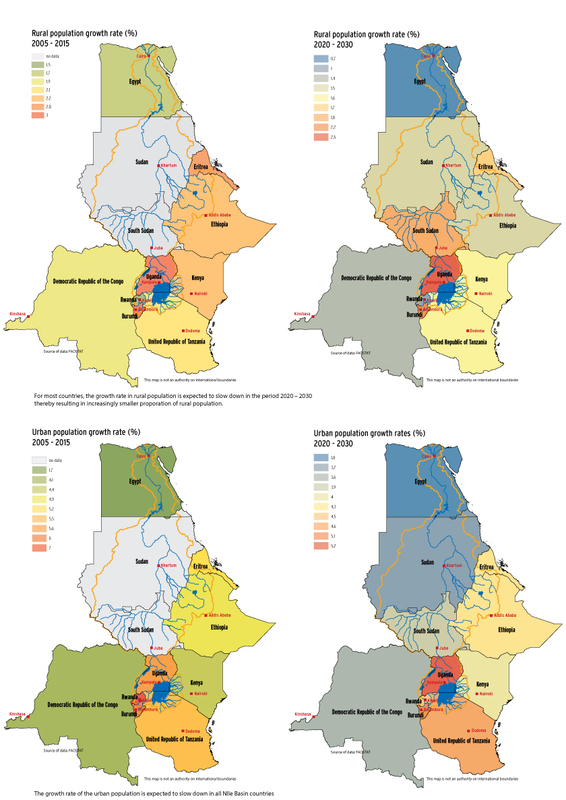 In contrast, urban population growth rate is expected to increase significantly in all Nile Basin countries.